Dutch kidnapping thriller based on true events and directed by Maarten Treurniet. 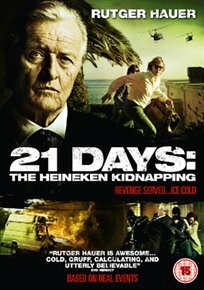 It is 1983 and the head of the successful brewing company, Heineken, Alfred Heineken (Rutger Hauer), is kidnapped and held captive for 21 days until he pays his kidnappers a huge ransom for his release. Upon his release, he sets out to find those responsible and make them pay for the horrible ordeal they put him through.